If you’ve been following us for a while you know I love the first book of this series Rebirth. I’m always surprised how this author gets me to love a book so entwined with religion. Don’t take me wrong, I have nothing against any religion but I am not a religious person. If there’s ever been a prove a book is good there you have it: making me read and love something with religion! Yahp that’s it. Review time over. No need to say more. Do not progress if you have not read the first book. The following review will contain mild spoilers from this series. She's marrying Ryland Vaughn, the man of her dreams. She's embraced her calling and battles the minions of hell bent on her destruction. And she's left her dark past far behind her. A secret she holds close, stuffed down deep, surfaces at the wrong time for everyone in Liz's life, leaving a trail of devastation. Left reeling, Liz wonders if she made a mistake, putting her trust in God, her guardian Arie, and Ryland. This book starts a few months after the ending of the other, Lizzy and Ryland are still mourning the losses they’ve suffered while discovering their love once again. But Kade is still on the loose and with a new threat bend on destroying Liz will it ever be enough? 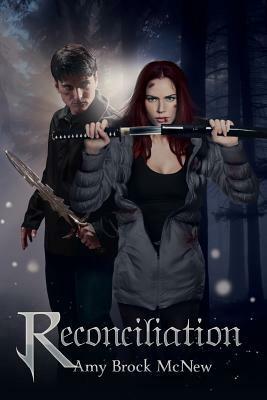 Reconciliation is not as good as the first one because while Rebirth was fresh, intense, full of battles and romance while this one lacks … development. We get into a loop of same old, same old; which gets boring after 100 pages. Gods, and I’m in love with Ryland. I think I’ve said this in my previous review; however, in this one he completely got my heart. Such love, such desire, such a brilliantly written character! Overall, I really liked this book, it is a nice sequel to the first one and I loved the new additions to the crew! I can't wait to read more about Nate and Ilona! If you liked the first one, definitely go for this one! And the next, I believe there will be one more book! Will you be giving it a chance? Etiquetas: Amy Brock McNew, book for review., L2L2 Publishing, Rebirth. 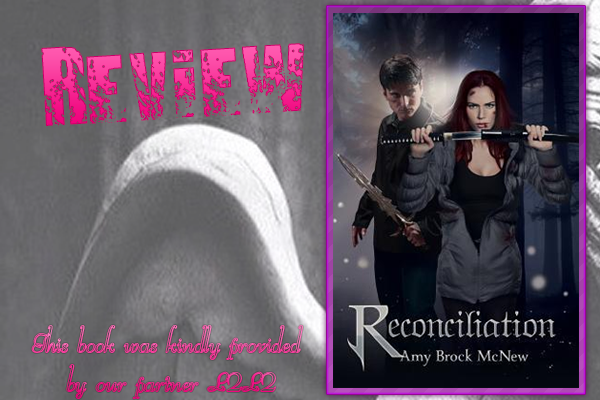 Reluctant Warrior Chronicles, Reconciliation, Reluctant Warrior Chronicles, review, Review copy!